Read last Tuesday’s post if you missed it and you will totally understand why I am posting this out today. Now hello, how are you? Let’s chat today about gyms, shall we? Last week I said: This is the time to join a gym. I gave you all the reasons why you are totally ready to commit a to gym. You look good. You feel good. Your goals are in site or have been met and now you need to make it all simply fabulous. Joining a gym is not hard. It’s actually extremely easy. You go in and say, “I want to join!” Then you fill out a few papers and pay a fee. BOOM! Done. Understanding how gyms work is a little different. It’s still super easy but you should be informed! Today I am taking the torch of information and well… informing you. QUESTION 1: WHAT KIND OF GYM DO YOU NEED? I say, Let’s figure it out! YMCA/YWCA are your best bets. Let’s discuss. Even though their acronyms are nearly the same these two facilities are NOT related. M and W are two seperate groups altogether (I guess we totally get that huh?) That means if you go get a membership at YMCA you cannot really use it at YWCA. However, they offer a lot the same stuff and one of those stuffs is child programming and care. raise.the.roof. Every area has a different pricing plan. A family plan can range from $75-$125 per month. Included are: child care, gym, work out classes (unless denoted), reduced rates for team sports, personal training, workout programs like Boot Camp, oh yeah they have pools sometimes indoor and outdoor but always indoor. I know my YMCA offers childcare for drop off and leave times too. That means if I need to Christmas shop I can pay $15 and leave my kid there for four hours. Shut up. It’s great. 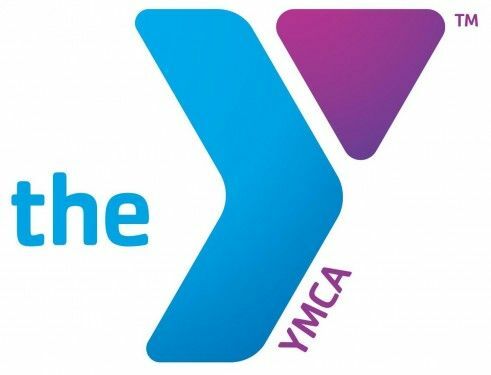 I haven’t been a member of the YWCA because it is about twenty-five miles away from me but I am a member of the YMCA which grants me entrance into all YMCA’s across the land. Yes, I could visit Andrea in Indiana and go to the YMCA like it’s my own. Fabulous, indeed. Work out classes offered by these two groups are really good quality. They have certified and trained instructors for the Les Mills series of work outs that means you get Body Pump, Body Combat, Les Mills GRIIT, Les Mills Sprint, and all the other ones I am forgetting. They also offer goodies like pilates, yoga, cycle, and water aerobics. Let’s not forget the gym. You have stationary and free weights not to mention remembering back to your college weight room and all the fabulous meat head contraptions of yore. Yes, they live on at the YMCA and YWCA. With all that being said – this is one of the more expensive options but if you have a family it is well worth the cost. The higher the cost the more the options is really what it boils down to. QUESTION TWO: I DON’T HAVE TO WORRY ABOUT KIDS. WHAT GYM IS FOR ME? or I do not need tons of programming (classes, etc) I just need equipment and the availability of a trainer. Ahhhh you childless wonders. There are gyms just for you and for you mamas and daddies who have a nest that isn’t so full anymore. May I introduce you to Planet Fitness? The only reason I am talking about this place is because it’s pretty nifty and it’s pretty thrifty. AND….it has been around a lot longer than those fly-by-night gyms. Planet Fitness is basically a row system of an exercise joint. The number of ellipticals and treadmills in this place is insane. That means you won’t be pissed off to find out you changed to work out only to find a line waiting to use a treadmill. They also have a nice area of weight training equipment for you to use as well. If you need coaching they have certified trainers available to help you devise a fitness plan to meet your goals. I believe this is a free service at PF and if so that is pretty awesome. Planet Fitness is open 24/7 and on holidays. That’s a major plus because I can tell you I have seriously wanted to work out on Thanksgiving before. I’m not kidding. Judge me. This place does not offer any form of child care so if you have kids and no sitter…this isn’t your option. However, if you are not a parent or a parent of kids who are too old to give a crap about you then I suggest you get a PF Black Membership so you can get free massages, reduced price cooler drinks, a spray tan, and you can bring a friend for free to any location across the country. Damn, I want to join now. QUESTION 3: WHAT ELSE DO I NEED TO KNOW? Take the tour of the facility. Though all three of these groups are in good standing you need to make sure that the locker room is clean and up to date. You need to see the offerings of the pool area. You also need to be able to see the child care area in action. I suggest you hit up the gym after 4pm on a mid week day. A free period. Ask if they offer a free period to try out the gym. A temporary card will get you in for 5-7 days and you can use that card to take classes, use the gym, and use childcare. You can even swim if you want to. Use the free period to find out what you are most interested in. Reduced rates through your employer or health insurance! I admit some gyms are pricey. $10 a month sounds great! But since I need child programming I pay a lot more. Any savings helps and that is why you need to ask the membership staff if your employer or insurance provider offers a discount on membership or joining fee. Often times they do! This can save you up to $100. There are a couple other options to throw out before I close up this post. There are facilities that focus only in one aspect of exercise. Yoga Studios will give you various types of yoga and occasionally pilates. However, if you get a wild hair to do some Les Mills the yogis will smile and meditate away. Cycle studios are super popular and they are an excellent work out. However, if you decide you want to do pilates you may be out of luck unless they have a menu of off bike options. If you are just getting started then take advantage of a facility that will offer you a wide array of options to find out what your favorites are! Get some friends and get in a class. Or just get on the treadmill. Walk, run, pump, jump, get it going on! Great advice! I’m just running/walking outside for now but when it starts to get cold, I’ll need to gym it up! And you can probably find a tribe too!!! Score! I wish I had a Y close to me. I grew up going tot he one by may parents’ house out in the boonies. I do pure barre because it works for my body and no kid lifestyle. And free yoga once a week at a brewery. Unfortunately the beer is only a dollar off after and not free! I just hope it’s light beer!! !